In this stunning new narrative of the road to America’s “new longest war,” one of the nation’s premier diplomatic historians excavates the deep historical roots of the U.S. misadventure in Iraq. 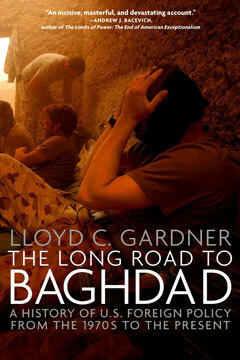 Lloyd Gardner’s sweeping and authoritative narrative places the Iraq War in the context of U.S. foreign policy since Vietnam, casting the conflict as a chapter in a much broader story—in sharp contrast to the host of recent accounts, which focus almost exclusively on the decisions (and deceptions) in the months leading up to the invasion. Above all, Gardner illuminates a vital historical thread connecting Walt Whitman Rostow’s defense of U.S. intervention in Southeast Asia, Zbigniew Brzezinski’s renewed attempts to project American power into the “arc of crisis” (with Iran at its center), and, in the aftermath of the Cold War, the efforts of two Bush administrations, in separate Iraq wars, to establish a “landing zone” in that critically important region. Far more disturbing than a reckless adventure inspired by conservative ideologues or a simple conspiracy to secure oil (though both ingredients were present in powerful doses), Gardner’s account explains the Iraq War as the necessary outcome of a half-century of doomed U.S. policies. The Long Road to Baghdad is essential reading, with sobering implications for a positive resolution of the present quagmire.